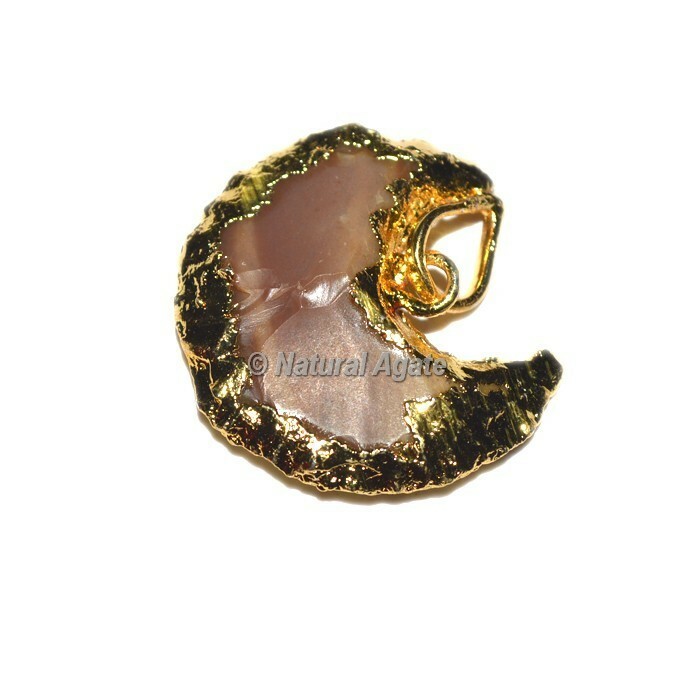 Exclusive collection of Agate Moon Electro Pendants at lowest price.This beautiful pendant is made from agate gemstone and is designed in cresent moon shape with electroplated gold.It cleanses and stabilises the aura, eliminating and transforming negativity. Agate enhances mental function, improving concentration, perception and analytical abilities. It soothes and calms, healing inner anger or tension and creates a sense of security and safety.